Former PM says Netanyahu's concerns not understood by the US, Israel being led towards Apartheid. Former Prime Minister Ehud Barak said on Tuesday that he had met with President Trump's advisers and that his administration was in favor of creation a Palestinian state. "People who sit around Trump do not understand how the Israeli government explains that the temporary and exaggerated Palestinian state that is being created is an existential threat to Israel," Barak said at a conference of the "Commanders for Israel's Security" movement in Ramat Efal. 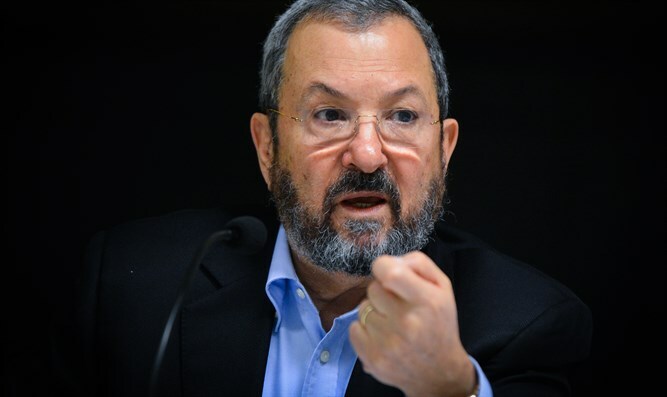 Barak warned that Prime Minister Binyamin Netanyahu, together with ministers Ayelet Shaked and Naftali Bennett, are leading the country into apartheid. "I see no more important and urgent task than placing a wedge in front of this slippery slope and returning Israel to striving for a two-state solution and the regional solution that is on the table and which Israel is avoiding entering into." "Israel can already adopt a security plan first that does not depend on the existence or nonexistence of a Palestinian partner, in order to preserve the possibility of a maturing of the other side," he said. Barak said he did not intend to reenter politics in any party "at this stage," but added: "There are two rules in politics: one is that there are no rules, and the second is that timing is everything."